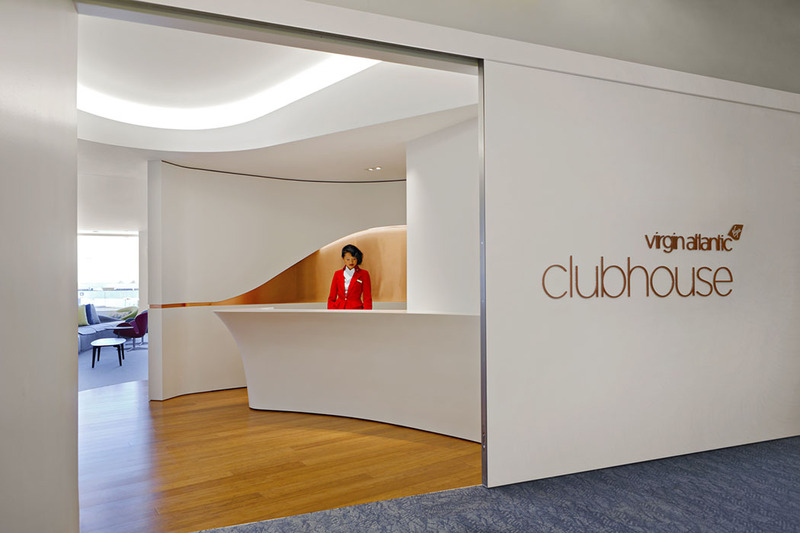 I previously mentioned the brand new Virgin Atlantic Clubhouse club lounge located in Terminal 2 at Los Angeles International Airport. I can now share some super photos of this new space. 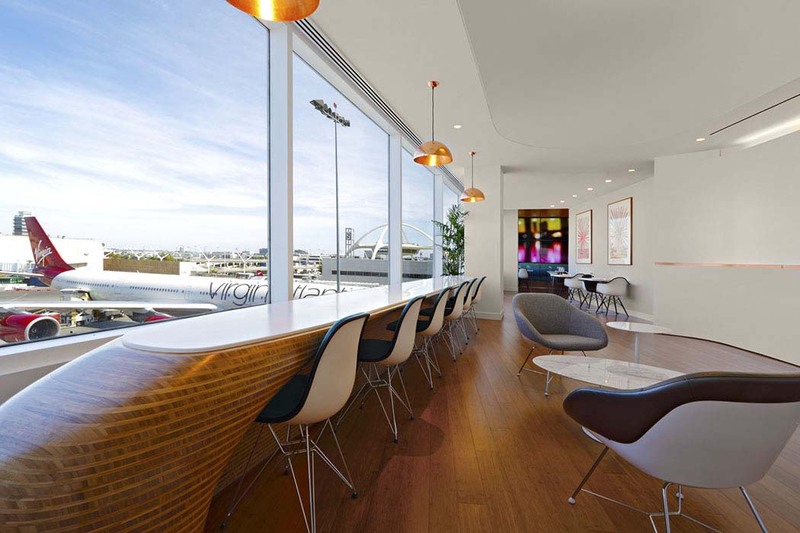 What really stands out about this lounge is the wall of windows offering a view over the planes and overlooking the Hollywood Hills. 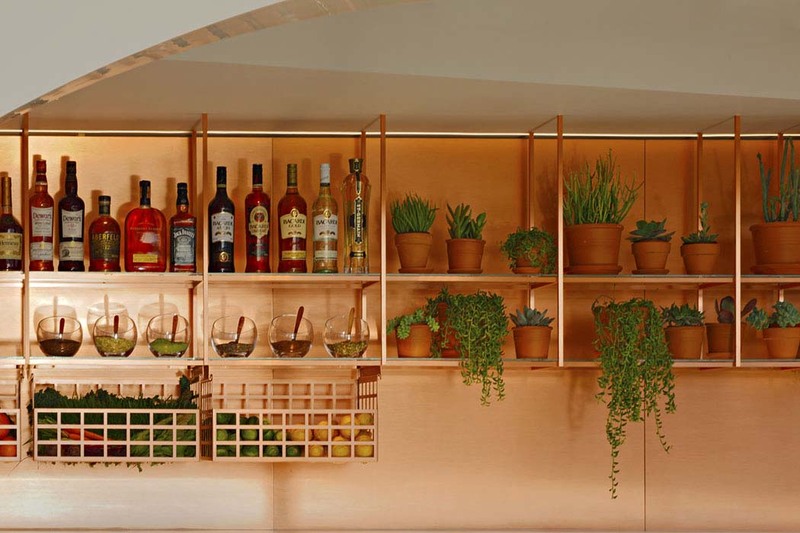 The centre piece of the lounge is a copper lined bar, showcasing natural Californian produce and plants as well as our famous bar service featuring fabulous cocktails. 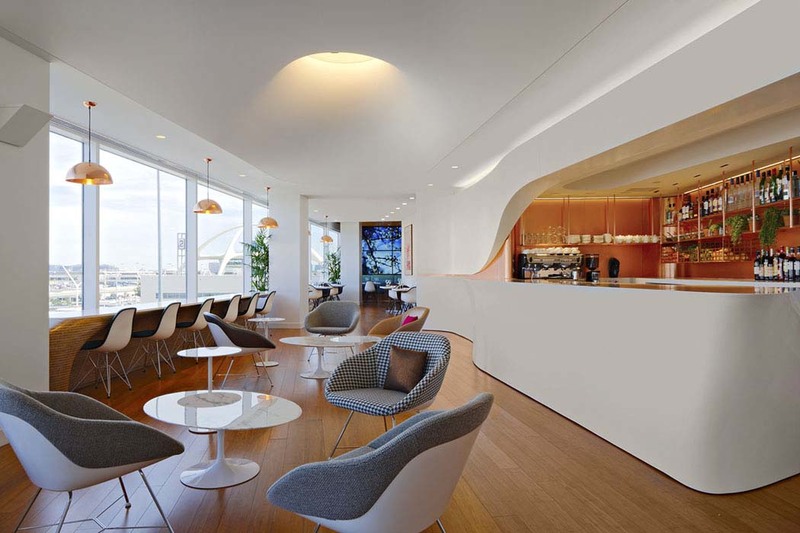 Working with The Juicery, They’ve created healthy juice options infused with seeds and spices. 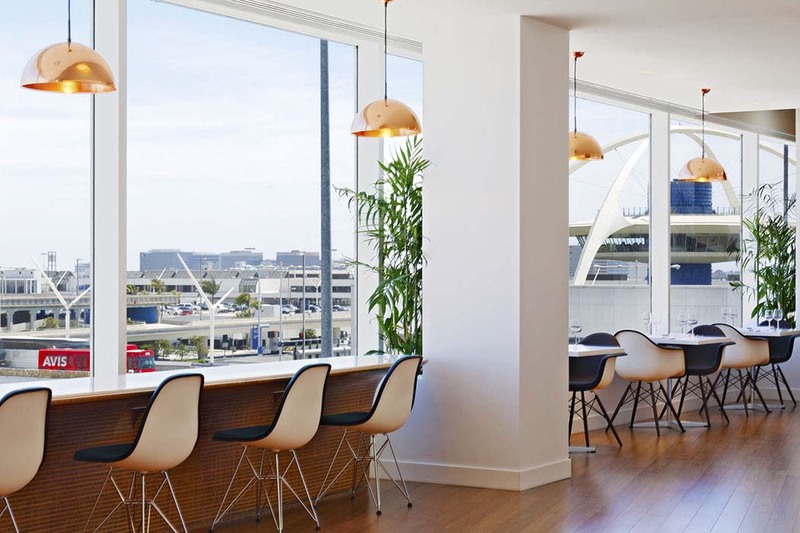 Spaces for relaxing and socializing are framed by panoramic views that span from the aircraft just outside the window to the Hollywood sign and the mountains beyond. 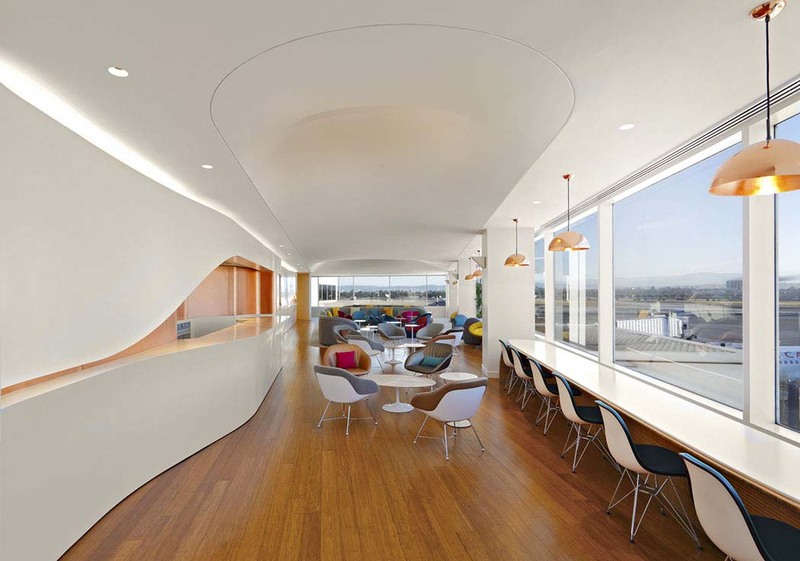 Fully WiFi-enabled, the lounge provides all the tools that fliers need to get work done before taking off, while delighting them with surprising details in the design. 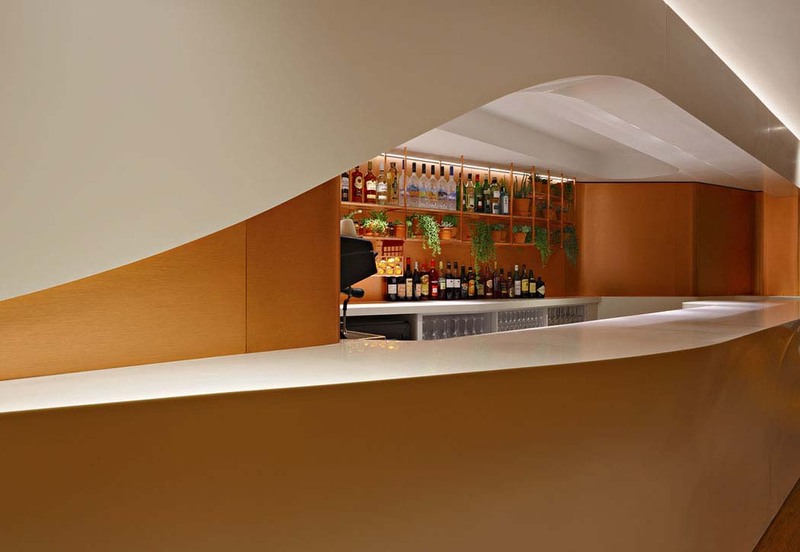 The food and drink concept allows customers to taste and share several dishes, creating a relaxed, sociable atmosphere. 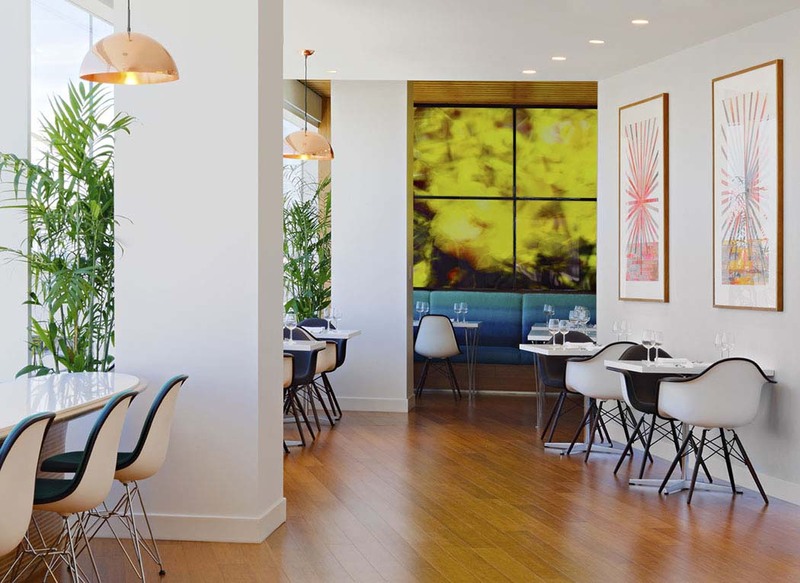 The food itself takes inspiration from the clean, healthy west coast lifestyle. 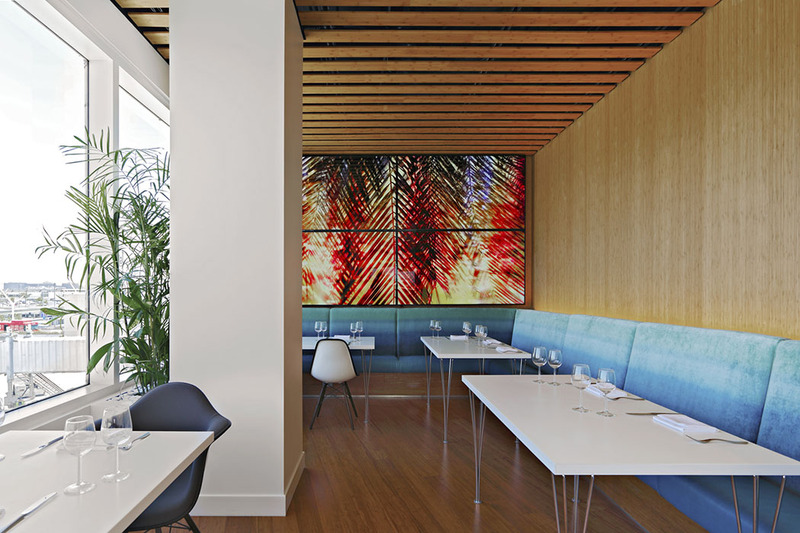 Working in collaboration with Hinoki and the Bird, one of LA’s most exciting and innovative restaurants, Virgin have created a travel inspired menu that capitalises on the amazing produce available throughout California.